In spite of a furious online campaign and an offer of 500,000 euros, the Copenhagen Zoo decided to shoot dead a healthy giraffe Sunday. Two-year-old Marius apparently had to go down because the zoo wanted to avoid inbreeding; apparently there already were giraffes in the breeding program with similar genes, and other options — such as castrating the animal — would have "diminished his quality of life". So, instead, he was shot with a bolt pistol, cut up in front of horrified zoo visitors, and then fed to some tigers. Under the European Association of Zoos and Aquaria (EAZA) rules, in-breeding between giraffes has to be avoided, and although poor Marius was healthy, his genes were already represented — meaning he likewise couldn't be taken in by the 300 other EAZA-affiliated zoos. "The euthanasia is happening in agreement with the European Breeding Programme for Giraffes," Copenhagen Zoo said on its website. 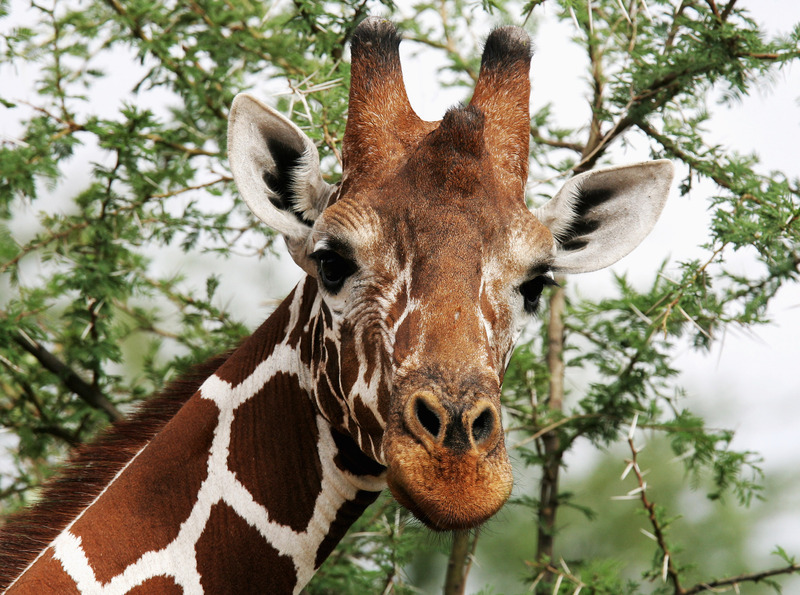 "It is not possible to transfer the giraffe to another zoo as it will cause inbreeding." But that didn't stop thousands from trying to save the creature. A Swedish zoo, not affiliated with the EAZA network, tried to get Marius transferred but failed; the Yorkshire Wildlife Park near Doncaster, England, also offered to house the giraffe. One guy offered 500,000 euros — $680,000 — to buy the giraffe and keep it in his Beverly Hills home. But according to EAZA regulations, the zoos don't actually own the animals, they just govern them. Meaning they can kill them, but not sell them. An online petition to save Marius had received more than 20,000 signatures before he was killed, with the hashtag #SaveMarius gathering an incensed following on Twitter. But in spite of the efforts, at 10 AM Sunday morning, Marius was shot by bolt gun (a lethal injection would have contaminated the meat, apparently), and became lion food.